The Horn of Africa is facing what has been called the worst drought in 60 years, with an estimated 12.4 million people urgently needing food. When to use the "F" word - Although some media reports have described the food crises in Kenya and Uganda as a famine, the UN says only five areas of southern Somalia are at that stage. The UN uses a system called the Integrated Food Security Phase Classification (IPC), which is a standardized tool. * Level five - famine or humanitarian catastrophe - occurs when there is a complete lack of food access and mass starvation, death and displacement. According to the UN World Food Programme (WFP), Kenya is facing a humanitarian emergency, but is not at the famine phase. Parts of northern and northeastern Uganda are in phase two. Much of southern Ethiopia is in the emergency phase, while central and northern areas of the country are divided between phases two and three. 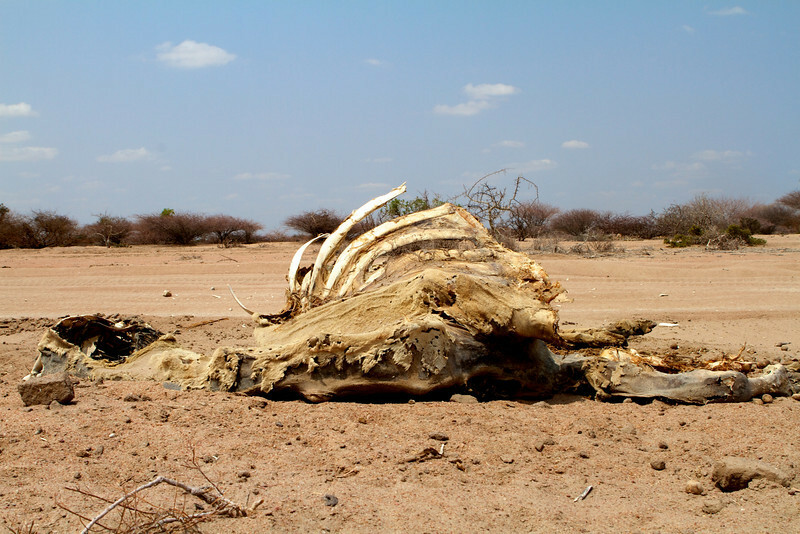 Looking back - There have been 42 droughts in the Horn of Africa since 1980, affecting an estimated 109 million people; with 47 million people experiencing drought in the region in the last decade alone. The most well-known famine took place in Ethiopia in 1984; some estimates put the death toll as high as one million. Surprisingly fertile - Somalia's Lower Shabelle region, one of the areas now hit by famine, is traditionally the country's bread basket, its main maize-producing area. In the past, the country produced enough grain to meet its basic market requirements. However, a combination of conflict - leading to displacement of many farmers and traders - and poor rains in recent years has drastically reduced production. In 2010, for instance, despite good Gu rains - from April to June - local cereals only supplied about 40 percent of national consumption needs. AFRICA: Horn migrants heading south "pushed backwards"
Charity begins at home - While most of the US$2.4 billion required to feed people affected by the food crisis will come from rich countries, local populations and the diaspora are also doing their bit. Just one week after it began, the Kenyans for Kenya initiative has already raised more than $1.3 million from private citizens using mobile cash transfer services and taking donations of as little as $0.10; the first consignment of food was sent from the capital, Nairobi, on 31 July. According to media reports, remittances from the Somali diaspora to the worst-hit areas in the south of the country are up by 10 percent. * Fortified blended foods: Blends of partially pre-cooked and milled cereals, soya, beans, pulses fortified with vitamins and minerals. These are usually mixed with water and cooked as porridge and provide about 380 Kcal per 100g. The most commonly used FBF is corn soya blend. * Ready-to-use foods: According to WFP, these are better suited to meet the nutritional needs of young and moderately malnourished children than fortified blended foods. Mainly used in emergency operations and designed to be eaten in small quantities as a supplement to the regular diet, ready-to-use foods such as Plumpy’doz contain peanut paste, vegetable fat, skimmed milk powder, whey and sugar; 100g provides more than 500 Kcal. * High-energy biscuits: These wheat-based biscuits, which provide 450 Kcal per 100g, are fortified with vitamins and minerals and are usually used early on in emergency feeding programme, before cooking facilities are widely available. * Sprinkles - This is a tasteless powder containing the recommended daily intake of 16 vitamins and minerals for one person; it can be sprinkled on to home-prepared food after cooking. * Compressed food bars - made from baked wheat flour, vegetable fat, sugar, soya protein concentrate and malt extract, these bars are used in disaster relief operations when local food cannot be distributed or prepared. They can be eaten as a bar straight from the package or crumbled into water and eaten as porridge, and contain 250 Kcal and 8.1g of protein per 56g bar.